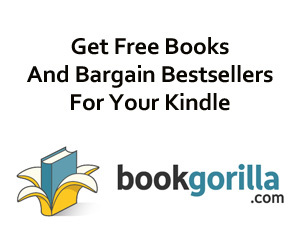 Enjoy Connie Chappell Books? Tell us Why and Win a Free Book! 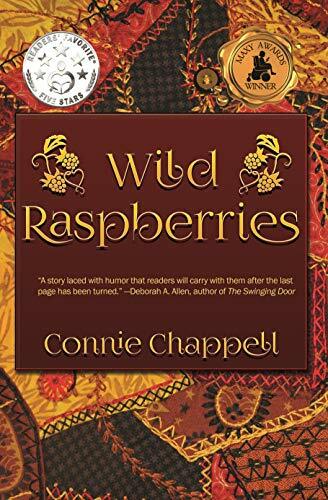 When Callie MacCallum sews her first quilt after the death of her lover Jack Sebring, she doesn’t realize she’ll be drawn into a Sebring family battle between wife and daughter-in-law. She simply wants to fulfill her promise to Jack to visit their cabin in the West Virginia mountains, where their long love affair was safely hidden. Instead, her emotionally reminiscent trip becomes crowded with the two Sebring women, a grief counselor, and the massive role Callie assumes. She must speak for Jack in order to protect his four-year old grandson Chad from his stubbornly manipulative and blame-passing grandmother and his recently widowed and power-usurping mother. Callie understands both women grieve the loss of Chad’s father. He died when a raging storm split the tree that crushed him.Grief isn’t the only common thread running between the four women. One by one, their secrets are revealed on the West Virginia mountaintop.˃˃˃ Grief isn’t the only common thread running between the four women. One by one, their secrets are revealed on the West Virginia mountaintop. Fans of Sue Monk Kidd, Anne Rivers Siddons and Liane Moriarty will love Connie Chappell’s new captivating contemporary family drama filled with romance and emotion. After being cruelly and brutally dumped by her boyfriend for being overweight, computer programmer Abbie Wright has sworn off of men. The relationship had left her raw and wounded, crushing her already fragile self esteem. The last thing she needs is to work a special project for millionaire client, Ian Campbell. His previous employees call him “the beast” because of his difficult personality and the trials that his employees have to deal with in having him for a boss. Just what Abbie needs…having her spirit crushed by an ogre of a client. It was an assignment she couldn’t turn down…but she dreaded it. Abbie doesn’t know that she is in for a pleasant surprise when Ian turns out to be one of the finest men she has ever known. He nudges his way into her heart, but Abbie has a past and she knows a man like Ian would never want a plus sized woman like her. Enjoy Ruth Price Books? Tell us Why and Win a Free Book! 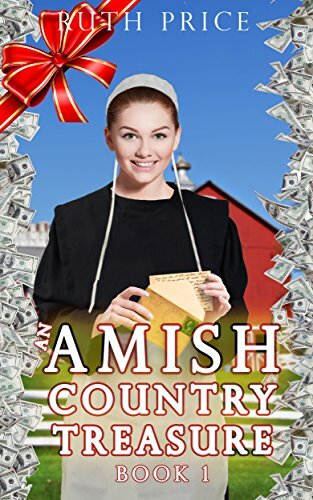 What happens when fun-loving Amish teen, Jemima King becomes an Amish Millionaire? “Confidently written and genuine, Ruth Price gives us another unique, grounded, and utterly delightful Amish yarn!” – Rachel Stotlzfus, Amish Fiction Bestseller. Seventeen-year-old Amish teen, Jemima King dreams of the blessings of marriage and family in her community, and with two rival Amish suitors pushing for a serious courtship, it seems like her largest problem will be choosing between them. But when a chance purchase puts Jemima in possession of a provocative national treasure, can she navigate the temptation of massive wealth and fame without losing what is truly precious?